Did you know that 49% of consumers depend on influencer recommendations? It’s no wonder why influencer marketing is one of the growing trends in 2019. Whether you want to increase your sales, develop brand awareness or reach new clients, influencer marketing can help you out. All you need is a proper plan to execute the whole strategy. 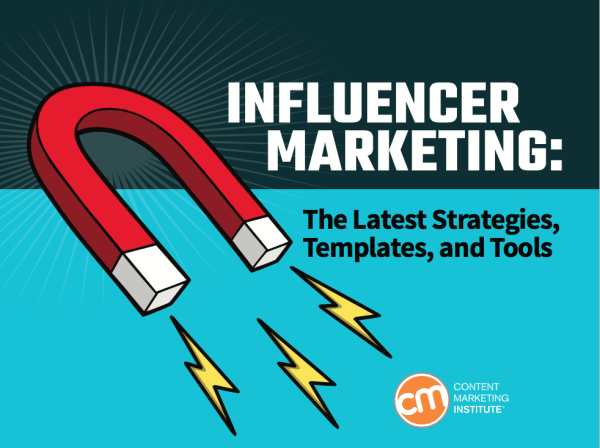 Keep on reading this post to learn how to plan an effective influencer strategy. The first step in creating a successful influencer campaign is to identify the people you want to reach and influence. Use statistics from your web page or social media to discover their age, gender, interests, favorite channels of communication and other relevant data. Knowing this information will help you find the right influencers that have a special bond with that kind of audience. Also, identifying your target group will give you valuable insights into their content format and other preferences. Another important thing for a successful influencer campaign is to determinate your goals, in other words, what would you like to achieve? Do you want to drive traffic to your website, to increase sales of a certain product or to expand your brand awareness? Focus on one or a couple of objectives; otherwise, you will only create additional unnecessary confusion. Once you know your goals, determine how you will measure the effectiveness of your campaign. KPIs may vary depending on your objectives. For instance, you can track the number of downloads, sign-ups, shares and the list goes on. Before reaching out to all influencers you think are a good fit, it’s crucial to understand your industry and the current influencer map with various segments. Therefore, figure out different types of influencers who reach your target audience. Are they journalists, thought leaders or fellow peers? When you determine main groups broke them down further into more specific profiles. For instance, journalists can cover offline magazines, online portals, high authority blogs, and other publications or details. That way, you can have a good grasp on all your possibilities and choose the most beneficial one. Explore various options, but remember to have in mind the preferences of your target group. Now when you have a list of influencers with whom you would like to cooperate, it’s time to do your homework. It means you should put yourself in the influencer’s shoes and get another look at your cooperation. Think about how they can benefit from it, basically what’s in it for them. Figure out what motivates them and make sure you include these factors in your proposition. Likewise, try to develop a relationship with the influencer before asking for the promotion. Introducing yourself by getting down to business right away won’t leave a good impression. Try to connect with the influencers on social networks and nurture your relationship before reaching out officially. After selecting your influencers, the next step is to create high-quality content that resonates with thousands of followers. This is a vital factor that determinates the success of your campaign. The content should provide some value to the readers, whether it’s a piece of useful information or light entertainment. However, avoid salesy and promotional tone. Remember not to give influencers restrictive guidelines and provide a healthy environment for content creation. This phase of influencer marketing strategy implies specifying the terms of the collaboration between you and the influencer. The formality of this agreement usually depends on the nature of your relationship. If you reached out to influencers through agency or platform, you need to set up more detailed campaign. This means you should agree on who is going to create the content and how it will be distributed. Besides, make sure you define the number of posts and duration of the campaign. Defining precisely the terms of collaboration ensures all parties are aware of their responsibilities which is a main precondition for their execution. The last step is to track the success of the campaign to make sure it brings desired results. If it fails to deliver the expected results, then make the necessary changes to ensure a positive outcome. Keep in mind the performance of the influencers and take into consideration factors, such as impressions, engagement, and follower growth to estimate their performance. More importantly, key performance indicators established at the beginning will demonstrate whether your goal is achieved or not. Keeping track of your campaign performance and its evaluation will give you helpful insights and determinate its success or failure.